Better late than ever, I suppose. I have a HOT remix for you, which many of you have probably found other places. 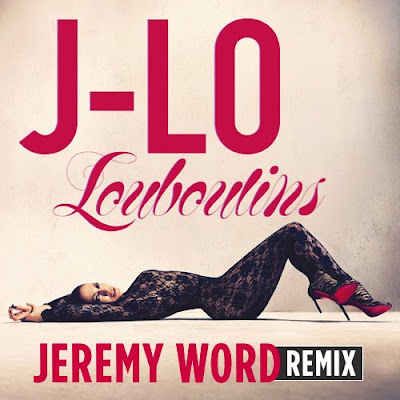 It's Dallas-based DJ/Remixer Jeremy Word's take on the new Jennifer Lopez single, "Louboutins." I'm LOVING this remix right now. I've been a fan of Jeremy Word's bootleg stuff for a good long while now (check out his mixes of Flo-Rida's "In The Ayer" & Janet Jackson's "Feedback"). On the official front, check out his remix of Nicole Scherzinger's (of The Pussycat Dolls) single with Will.I.Am, "Baby Love." The single premiered on radio just before Thanksgiving and was officially serviced to radio December 8th before finally being released on iTunes on December 21st. The song made it's first appearance back on November 22nd during a live taping of the American Music Awards. Lopez has since promoted the single on The Ellen DeGeneres Show, So You Think You Can Dance and is slotted to sing it yet again when she hosts Saturday Night Live in the coming months.